Manufactured from the same materials as the Professional, the Upright Professional separates turning and tilting forces in the same way. 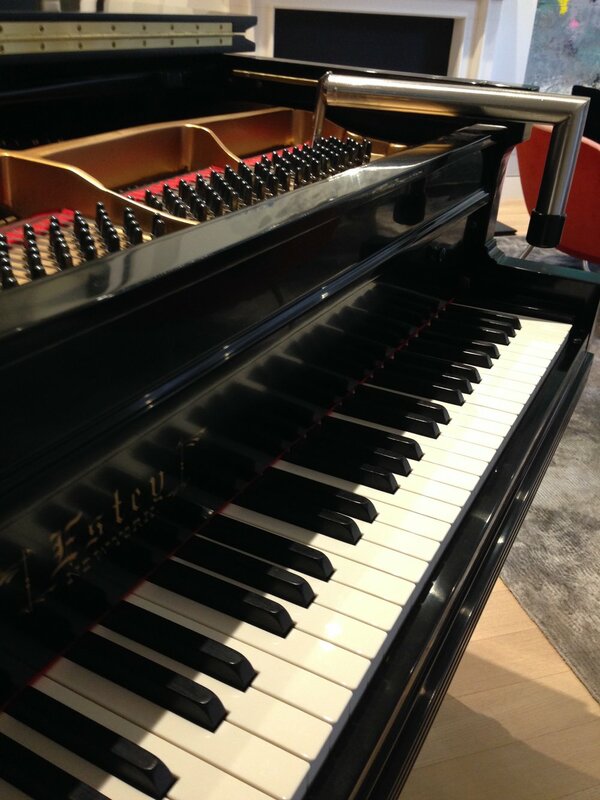 Because it's shorter and shallower than the Professional, the Upright Professional is significantly stiffer and lighter, which means that it transmits information from the pin to the hand with a clarity unmatched by any other tuning lever. 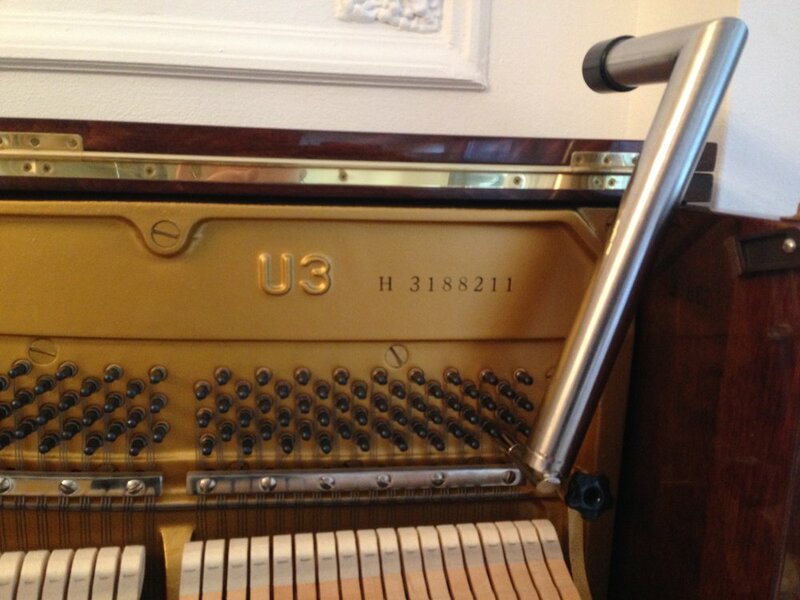 While the Upright Professional has been designed to reach every pin on virtually every vertical piano, it won't reach the most distal pins in the high treble of some larger uprights; it won't fit under the large overhanging lids of a few American spinets and consoles; and it's awkward to use in string repairs. For that reason, it should always be accompanied in the field by a conventional L-lever (the Utility makes an ideal companion). ...and its extra stiffness makes working with heavy pressure bars much less frustrating. ...but short enough to fit under lids like this. ...or simply take out your Utility. 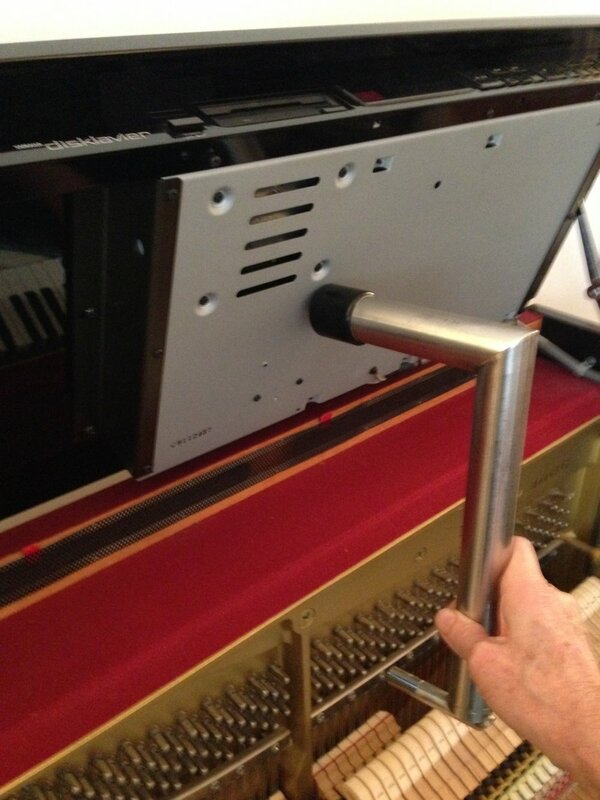 Pianotek part number: TH-10LP (Those not registered with Pianotek must order by phone. Length, center of head to end of handle: 11"
Height, end of tip to underside of shank: 2 1/8"